John and Chris initially came to Stone Create with no branding or corporate identity. They required our help as they knew the importance of the foundations to build a successful business upon. 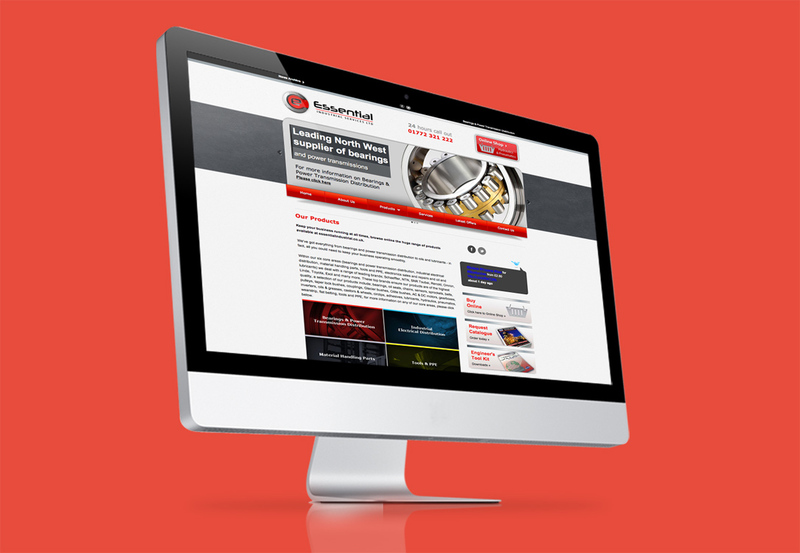 Essential Industrial Services is a leading supplier of bearing and power transmission products within the North West of England. Over the years, their brand has evolved into what it is today, with subtle changes to develop a corporate identity that is at the forefront of their industry. 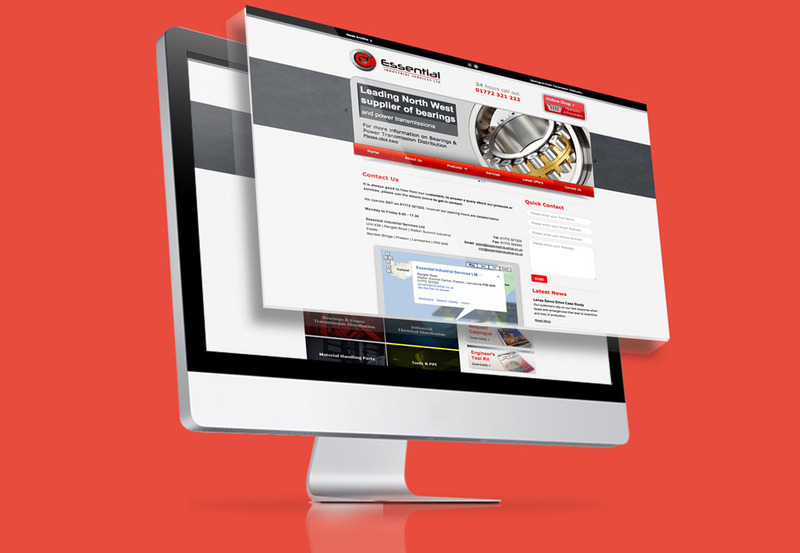 The latest design is a combination of previous logos but now includes an instantly recognisable symbol, that can be easily transferred across the full range of marketing channels. 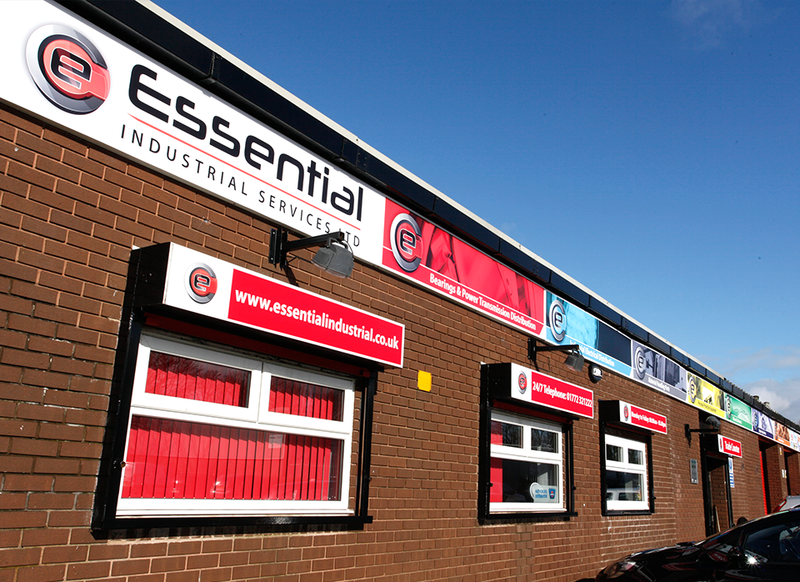 High impact signage was required, both internally and externally at their vast location in Preston. 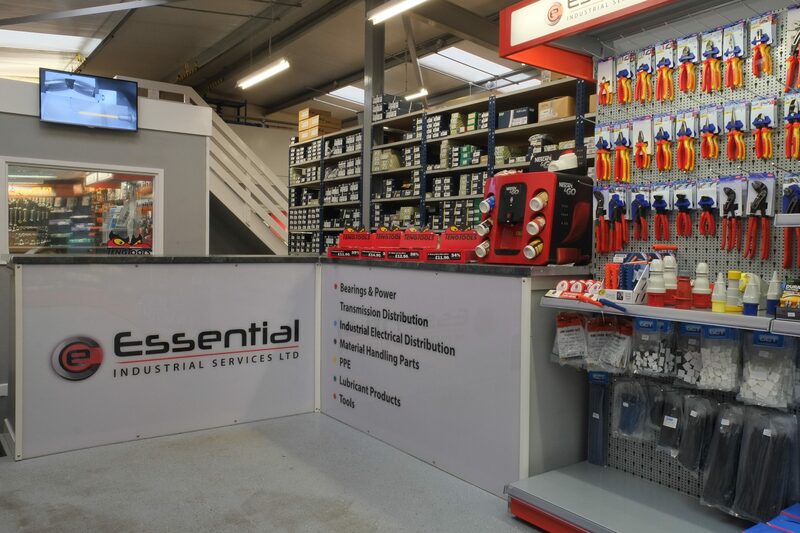 With a 6,000 sq ft site, it was essential that this signage highlighted the full scale of the building and the products/services that they offer. Designs were developed for a range of company vehicles, from pick up trucks to heavy-duty commercial vans. 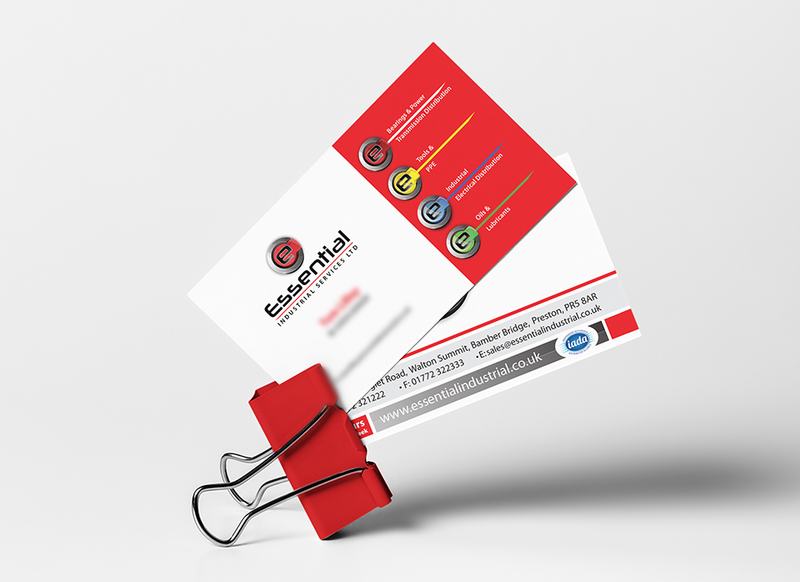 Each design was bespoke to the vehicle model to ensure that Essential Industrial’s branding was the same throughout their full fleet. 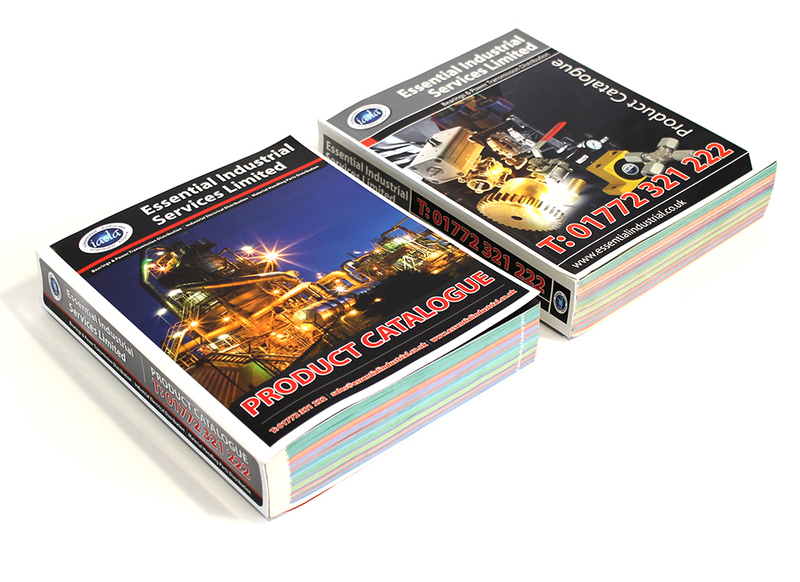 This corporate branding was applied to a brand new website, literature, product catalogues and all future stationery providing consistency throughout the range. 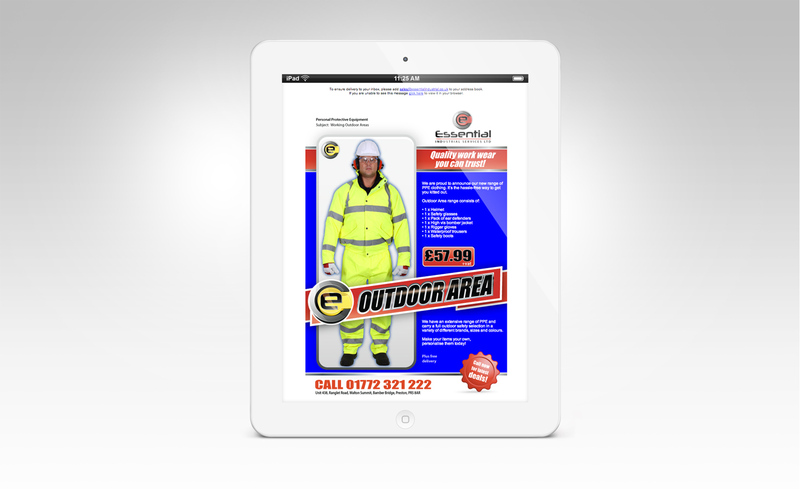 A full email marketing strategy was put in place, to ensure the company gets seen in all the right places.